A year and a half after first announcing plans for the straight-to-consumer streaming platform Disney+ and following a steady stream of reports about what content subscribers can look forward to seeing, Disney finally revealed two of the most important details about Disney+: when it will launch and how much it will cost. Disney+ is scheduled to roll out in the United States on November 12, and will cost $6.99 a month. The company confirmed this during its Investor Day on Thursday, April 11 (coincidentally the first day of Star Wars Celebration, the event all about the IP Disney purchased rights to when it bought Lucasfilm a few years back). Details come to us straight from the Walt Disney Company itself. Those dollars grant subscribers access to not just Disney content, but Pixar films, Marvel movies and upcoming series, the Star Wars film series and animated and live-action shows, and content from National Geographic. According to Disney+'s senior vice president of content Agnes Chu (via Variety), when Disney+ launches on that 12th day of November, the platform will feature 7,500 episodes of television — a large chunk of which will come from 25 original series. The streamer will also have 400 films and 100 theatrical movie releases. Chu also noted that five years after the launch of Disney+, the House of Mouse projects that there will be "an annual production slate of some 50 originals." 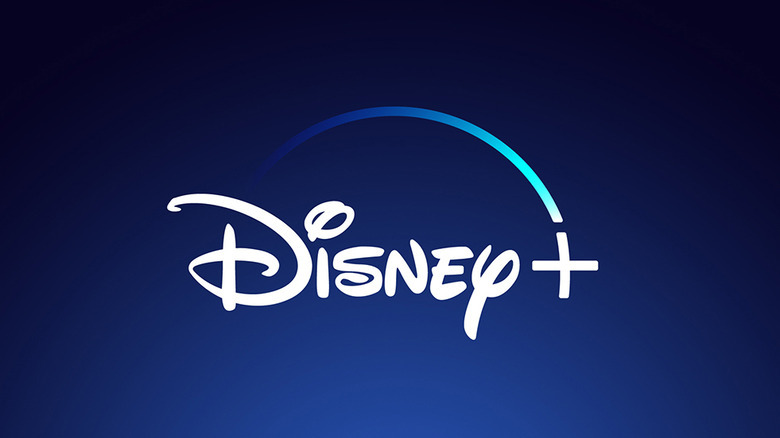 Concerning the interface of Disney+, the company indicated that the platform is designed to offer subscribers an easy-to-navigate experience that makes discovering new content and watching old favorites simple and seamless. On the site, there are "dedicated immersive branded tiles and dedicated pages for Disney, Pixar, Marvel, Star Wars, and National Geographic." 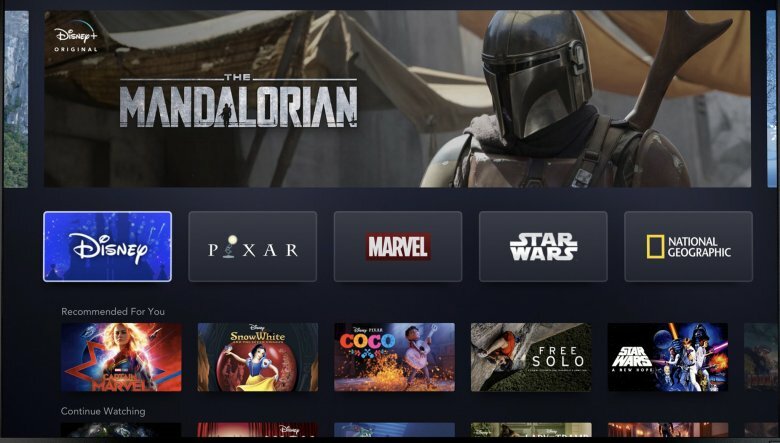 Additionally, Disney+ users can create their own unique profiles that each receive "personalized experiences curated to their unique tastes based on past behaviors and preferred content. As of this writing, it's unclear exactly when Disney+ will launch in other territories, though Disney has indicated that the platform is meant to be an international product. The Hollywood Reporter relayed additional information regarding the Mouse House's launch plans for Disney+: it will be available in North America, countries in Western Europe, and select territories in Asia by early 2020, then will roll out across the world through 2021. The $6.99 price point is absolutely fantastic, if we do say so ourselves, and will likely come as a pleasant surprise to many who anticipated Disney+ costing much more per month than roughly seven bucks. Disney intends to position Disney+ as both an answer to Netflix, the current king of the streaming sites, and as its direct rival. With a $6.99-per-month price tag, Disney+ costs about half of what Netflix's most popular Standard Plan will come May (the streamer is jacking up prices from $10.99 to $12.99) and is even cheaper than Netflix's most cost-effective Basic Plan (which will also see a rise in price from $7.99 to $8.99 per month starting in May). Compare Disney+'s cost to Netflix's top-tier subscription, the Premium Plan that will soon cost $15.99 per month, and you've got yourself a difference of almost nine dollars. That's enough to buy another Disney+ subscription and still have room in the budget for, say, a once-a-month Starbucks run. Beyond the lower cost, another way Disney+ may draw viewers away from Netflix is through its exclusive catalogue of content. Netflix was once the home of Marvel's superhero series, but from late 2018 to early 2019, all of those shows got the ax. Many believed this clearing-of-the-house was a sign that Marvel, a subsidiary of Disney, was taking back its properties in hopes of revamping them for Disney+. A clause in the original deal between Netflix and Marvel Television for Jessica Jones, Daredevil, Iron Fist, and Luke Cage (the also-cancelled show The Punisher wasn't included in the initial agreement, as it was a spin-off of Daredevil) apparently details that Marvel cannot use any of the characters featured on the series for non-Netflix content for at least two years post-cancellation — which means that the dead superhero shows may not come back to life on Disney+ until late 2020 or early 2021. It's a while to wait, but now that we know Disney+ is launching internationally in a rolling release, it almost makes sense that Marvel would attempt to bring the old series back to life on the steamer once it's available worldwide. Spurned fans of the Marvel-Netflix series would jump to Disney+ in a heartbeat if that ends up happening. Of course, there is so much more to drool over on Disney+'s dazzling content slate. Disney made several announcements and confirmations about the films and shows that are heading to the streaming platform. Under the Marvel Studios umbrella, there's The Falcon and the Winter Soldier, the team-up limited series starring Anthony Mackie and Sebastian Stan as the titular superheroes; WandaVision, the live-action series formerly titled The Vision and Scarlet Witch that features Elizabeth Olsen back as Wanda Maximoff and Paul Bettany returning as Vision; Loki, the live-action limited series that stars Tom Hiddleston as the trickster god; and Marvel's What If…?, an animated series that explores how famous moments in the Marvel Cinematic Universe might have gone differently. The premiere episode of What If…? will reportedly answer the question, "What if Peggy Carter is the one who became the super soldier and Steve Rogers used a Stark suit as a scrawny kid?" Disney didn't reveal anything about the Hawkeye series, which will feature Jeremy Renner reprising his iconic role as the archer-master Avenger and see the character "pass the torch" to another Hawkeye named Kate Bishop. The company did just announce that project on April 10, a day before Investor Day 2019, so it isn't too surprising that the Mouse House had nothing else to add on April 11. There's also Into the Unknown: Making Frozen 2, a "first-of-its-kind documentary series taking audiences behind the scenes of the highly anticipated animated film," from Walt Disney Animation Studios, as well as all previously released Pixar shorts and new projects Forky Asks a Question and Lamp Life. From Disney Television Animation, there's the yet-to-be-officially-titled Phineas and Ferb film, based on the animated series and including most of the show's original voice cast. National Geographic is gifting The World According to Jeff Goldblum to Disney+ as well. Those who fell for Goldblum's character in Thor: Ragnarok or those who just dig the dude as a person can tune into the docuseries at launch, and watch as Goldblum "pulls back the curtain on a seemingly familiar object to reveal a world of astonishing connections, fascinating science, and a whole lot of big ideas." Also from NatGeo: Magic of the Animal Kingdom, another documentary series, this time taking audiences "behind the scenes with the highly respected animal-care experts, veterinarians and biologists at Disney's Animal Kingdom and Epcot's SeaBase aquarium." Additionally, there's the live-action Star Wars series The Mandalorian, Star Wars: The Clone Wars (which is getting revived for an exclusive seventh season on Disney+), the Rogue One prequel series featuring Diego Luna as Cassian Andor, the Monsters, Inc. prequel Monsters at Work, High School Musical: The Musical: The Series, Diary of a Female President, and Disney's live-action flicks Noelle, Stargirl, Togo, Timmy Failure, and Lady and the Trap. Those who are love non-fiction television will be pleased to hear that Disney+ will offer several new series in that genre: Be Our Chef, Cinema Relics: Iconic Art of the Movies, Earthkeepers, Marvel's 616, Marvel's Hero Project, (Re)Connect, Rogue Trip, Shop Class, and the untitled docuseries about Walt Disney Imagineering. 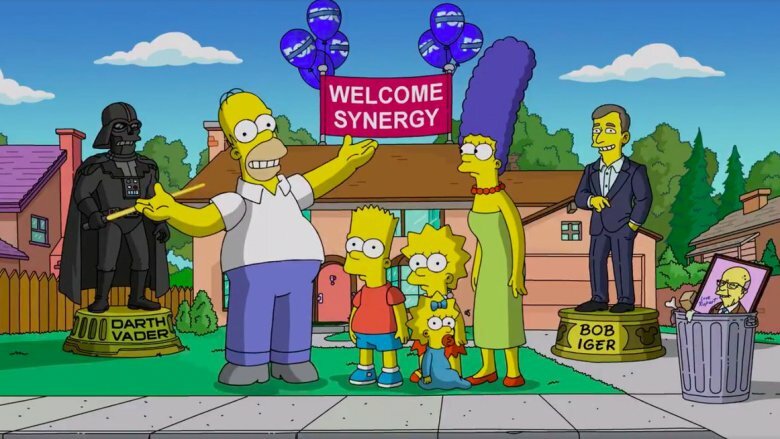 Thanks to the Walt Disney Company's recent purchase of 20th Century Fox, all 30 seasons of The Simpsons will hit Disney+ at launch. That means the very day Disney+ becomes available in the U.S., subscribers can watch over 650 episodes of the animated series that began way, way back in 1989. The Disney-Fox merger also means that Disney+ will include Fox films and TV series like The Sound of Music, Malcom in the Middle, and The Princess Bride. Direct-to-Consumer and International chairman Kevin Mayer said of all this exciting news, "We're extremely excited about our growing portfolio of direct-to-consumer offerings. As we demonstrated today, with Disney+ we will deliver extraordinary entertainment in innovative ways to audiences around the world. We'll continue to enhance the user experience with a constant pipeline of high-quality programming, making the service even more appealing to consumers." The Walt Disney Company CEO Bob Iger shared the vision for Disney+ — one that will, based on all these incredible details, have no trouble coming to fruition. Disney+ marks a bold step forward in an exciting new era for our company—one in which consumers will have a direct connection to the incredible array of creative content that is The Walt Disney Company's hallmark," said Iger. "We are confident that the combination of our unrivaled storytelling, beloved brands, iconic franchises, and cutting-edge technology will make Disney+ a standout in the marketplace, and deliver significant value for consumers and shareholders alike." Disney+ will roll out stateside on November 12.